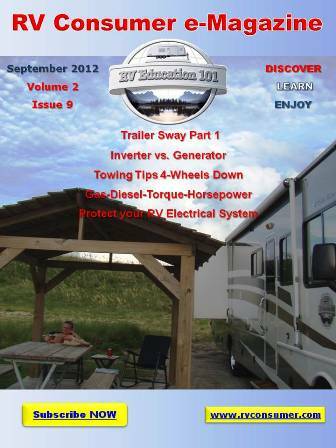 Towing a travel trailer safely and properly can be a daunting task until you have some experience. Today I would like to offer you 5 trailer towing quick tips to help answer some of your questions about safely towing a travel trailer. 1) A tow vehicle that is four-wheel drive will have a lower tow rating than an identical vehicle that is two-wheel drive. The reason for this is the transfer case in the four-wheel drive vehicle adds additional weight to the vehicle (usually about 500 pounds) which lowers the tow rating by that amount. Keep in mind that any weight you add to the tow vehicle takes that same amount away from the tow rating. 2) With your tow vehicle and trailer connected on a level surface stand back and look at it. If the lowest point is where the trailer tongue coupler sits on the ball mount you need to talk to your RV dealer about a weight distribution hitch. If you have a weight distribution hitch and it is still the lowest point between the tow vehicle and trailer the weight distribution hitch head and bars may need to be adjusted. 3) Tongue Weight (TW) is the amount of the trailers weight that is pressing down on the hitch ball. TW is a critical factor in how well the trailer will tow. Ideally for trailers that weigh over 2,000 pounds TW should be 10 to 15 percent of the loaded trailer weight. Take the Gross Trailer Weight (GTW), which is the actual weight of the loaded trailer, and multiply it by .10 and .15. This will give you the tongue load range you want to be in. Too much TW can cause poor steering, handling and braking. Too little TW can cause the tow vehicles rear wheels to lose traction and contribute to trailer sway. 4) Every component in a towing system has a weight rating. Never exceed the lowest rated component in the system. For example, your tow vehicle might be rated to tow 7,000 pounds, but if the hitch receiver on the tow vehicle is rated for 5,000 pounds that is the most you can tow. 5) One weight rating that is often times overlooked is the Gross Combined Weight Rating (GCWR). This applies to any vehicle pulling a trailer or any motor home pulling a vehicle or trailer. The GCWR is the maximum permissible weight of the tow vehicle and trailer combined, when both are fully loaded for travel. Look for the GCWR on weight labels or in the vehicle owner’s manual. Never exceed the GCWR. 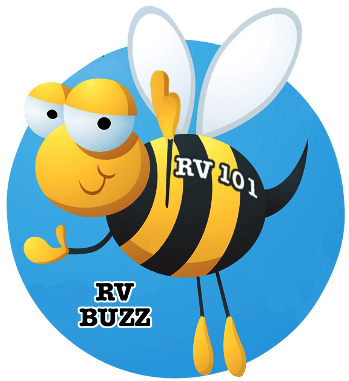 « RV Rubber Roof – But What Type?